It’s 5:30 in the morning in Japan, but Pat Bolan is too excited to sleep. “Excited to take the company to No. 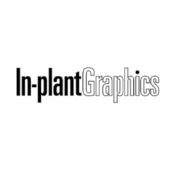 1 supplier of MIS,” he tells In-plant Graphics, over a surprisingly clear phone line. As president and CEO of Avanti Computer Systems, Bolan has steered the print MIS solutions provider since 2004, when he, Stephen McWilliam and Peter Funnel acquired the company. Since then, they have successfully managed to keep it from being gobbled up by their chief competitor EFI, which has assimilated most of Avanti’s competitors in the MIS space over the years.